A good time to start dealing with your Heart Disease cure today , which is also a date to remember when you finally started the heart disease healing & treatment process. If you have high cholesterol, high blood pressure, or diabetes, there are steps you can take to lower your risk for heart disease. Have your cholesterol checked. Your health-care provider should test your cholesterol levels at least once every 3-years. Talk with your doctor about this simple blood test. Monitor your blood pressure. 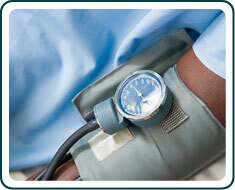 High blood pressure has no symptoms, so be sure to have it checked on a regular basis. Manage your diabetes. If you have diabetes, closely monitor your blood sugar levels. Talk with your health care provider about treatment options. Take your medicine. If you're taking medication to treat high cholesterol, high blood pressure, or diabetes, follow your doctor's instructions carefully. Always ask questions if you don't understand something. Talk with your health care provider. You and your doctor can work together to prevent or treat the medical conditions that lead to heart disease. Discuss your treatment plan regularly and bring a list of questions to your appointments. Eat a Healthy Diet - Choosing healthful meal and snack options can help you avoid heart disease and its complications. Be sure to eat plenty of fresh fruits and vegetables. Eating foods low in saturated fat and cholesterol and high in fiber can help prevent high blood cholesterol. Limiting salt or sodium in your diet can also lower your blood pressure. Click-here for Health Tip-of-the-Day. 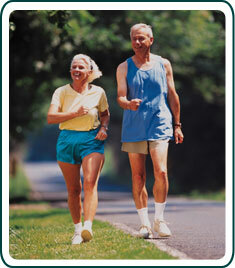 Maintain a Healthy Weight - Being overweight or obese can increase your risk for heart disease. To determine whether your weight is in a healthy range, doctors often calculate a number called the body mass index (BMI). Doctors sometimes also use waist and hip measurements to measure a person's excess body fat. Don't Smoke - Cigarette smoking greatly increases your risk for heart disease. So, if you don't smoke, don't start. If you do smoke, quitting will lower your risk for heart disease. Your doctor can suggest ways to help you quit. Limit Alcohol - Avoid drinking too much alcohol, which causes high blood pressure.